We have been proudly serving the Tampa Bay area for more than 30 years, continuously updating our equipment and training our employees on the latest repair procedures. At Pro Auto Care, we understand that making the time for scheduled maintenance or bearing the cost of an unexpected repair can be stressful. This is why we are committed to providing an excellent customer experience. My wife and I moved here from Northern VA and have taken both of our vehicles to Pro Auto Care for needed maintenance and service. The crew has been fantastic and extremely kind, professional and knowledgeable. Their service was outstanding as was their work. Dan took especially great care of us, and I also got the change to work with Joseph, who helped me with some auto body work needed on my vehicle. He too was fantastic. They are also affiliated with Costco and the 15% discount was extremely helpful too. As always, it was a great experience at Pro Auto Care. I called last minute about an oil change and I knew that I needed a pair of new tires. They ordered my tires and had them on hand when I arrived. I decided to wait in the lobby – taking advantage of their complimentary WiFi. They even offered to run me home. The work was completed quite quickly and I was on my way – at a fair price, too. Many thanks to Dan and the staff. I’ll be back. My husband’s SUV needed a major repair. We had gotten an estimate at the dealer but didn’t feel comfortable with having work done there. We are so glad we stopped in Pro Auto. They were very honest with us. The price was nearly half what the dealer quoted. They even attempted to find parts at a lower cost. They kept us updated every step of the way. We will not go anywhere else now. Thank you Pro Auto Care! Pro Auto Care is the best!! 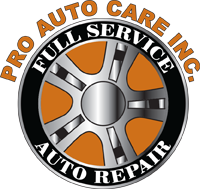 Pro Auto Care is one of the best in Tampa. Kind, courteous and honest – 100% of the time!! Whether you just need an oil change, or body work, Pro Auto Care is the best! !